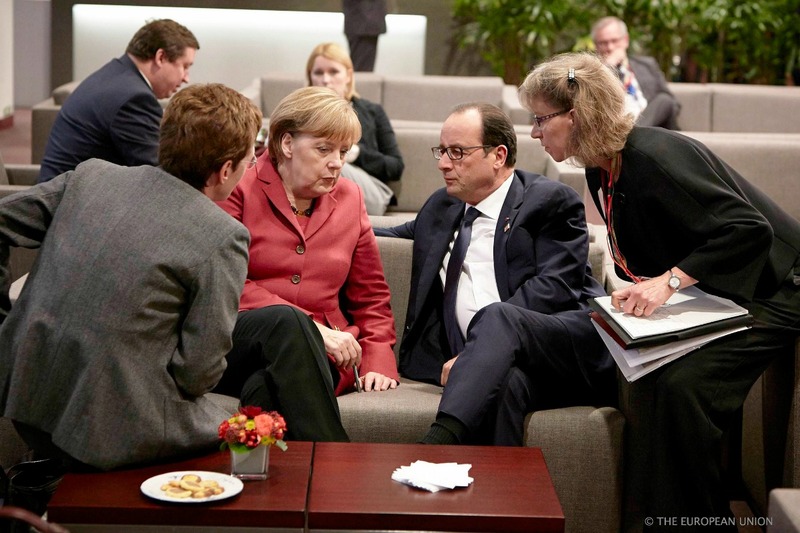 The executive will publish its ‘Winter Package’ of new energy legislation aimed at creating an EU Energy Union. The strategy is designed to lessen the bloc’s dependence on energy imports and fight climate change. Among the suite of bills are rules setting EU-wide 2030 climate and energy targets, including energy efficiency. 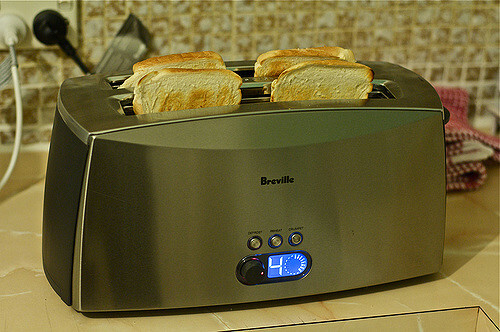 Greater efficiency reduces both emissions and the need for imports because less energy is used. 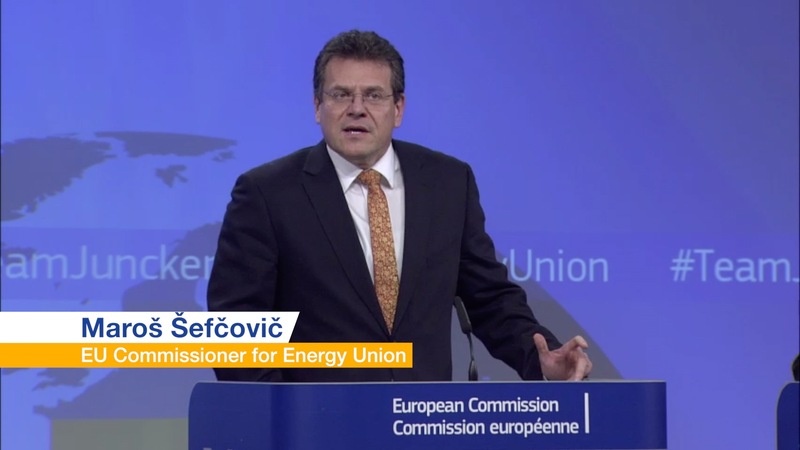 The Commission has repeatedly promised to put “energy efficiency first” in its Energy Union plan. The executive will set a binding EU-level 2030 target of at least a 30% increase in energy efficiency compared to 1990 levels. Before it can become EU law, an identical goal must be agreed by both the Parliament and Council of Ministers. MEPs have twice backed Parliament resolutions calling for 40% but member states have supported just 27%, suggesting tough negotiations ahead. Members of the European Parliament fear they will be swamped by a sudden flood of energy-related legislative proposals this year, with some urging their colleagues to take a step back and avoid the temptation to “optimise” laws in endless negotiating rounds. Leaked documents had suggested the executive was considering the 30% target. euractiv.com has confirmed the Commission will resist subsequent pressure from MEPs, green campaigners, and some industry groups to further boost the target. Just last week, the European Alliance to Save Energy, a group of businesses and climate think tanks, wrote to Commission President Jean-Claude Juncker, asking for a binding 40% goal. Only a binding target would could give investors certainty, they said. But the Commission will argue that 30% will translate into up to 400,000 more jobs and a boost of up to €70 billion in additional gross domestic product, compared to the 27% backed by member states. The Commission promised to analyse higher efficiency goals in its research prior to drafting the new target than originally planned. EURACTIV exclusively revealed in November 2015 that officials only planned to analyse a greater efficiency share up to a maximum increase of 33% by 2030. But after pressure from MEPs and campaigners it modelled scenarios of a 27% to 40% increase. The European Commission has climbed down over the ‘Modelgate’ controversy about preliminary research for new energy efficiency laws, with Climate Commissioner Miguel Arias Cañete promising EU officials will analyse higher efficiency goals for 2030 than originally planned. 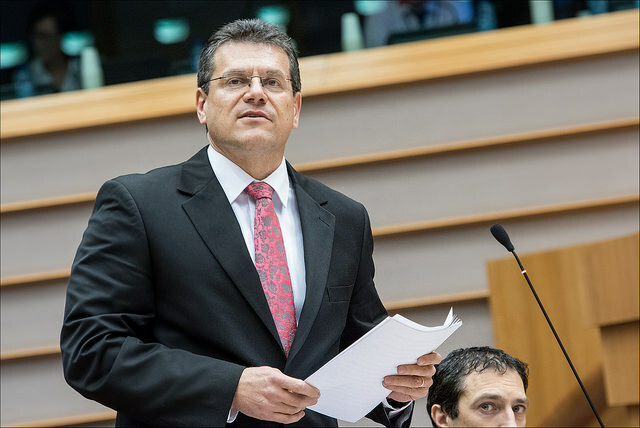 Wednesday’s proposal is the first step towards translating targets agreed at the October 2014 European Council into legislation. The Commission then pushed for EU leaders to back a 30% efficiency target, as well as a 40% greenhouse gas emissions cut and a 30% boost to renewables. Although they backed the 40% cut on greenhouse gases, leaders watered down the efficiency and renewables targets to “at least” 27%. Keen to assert their sovereignty over their energy mixes, they insisted the efficiency target could not be legally binding. The lower efficiency and renewables targets were agreed in exchange for support of the 40% emissions cut from countries such as Poland that are more dependent on polluting fossil fuels. 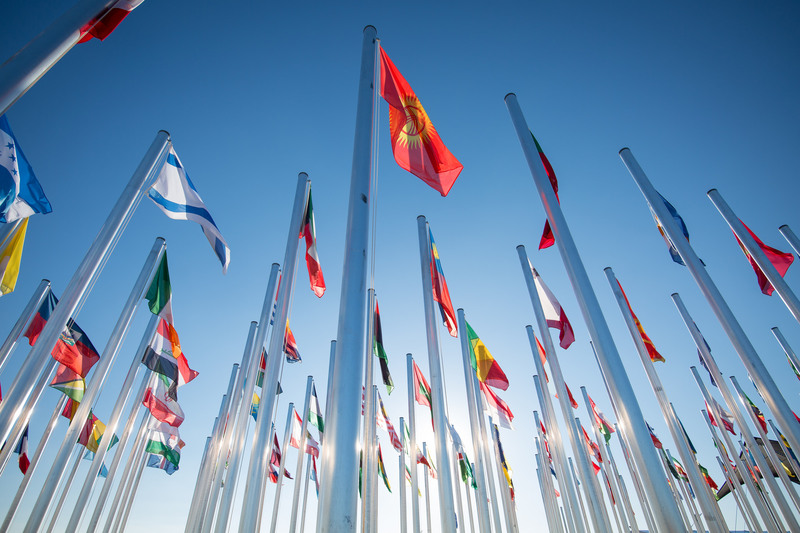 Heads of states and government also agreed to a “flexibility clause” in the summit conclusions, allowing them to review the 2030 goals later. 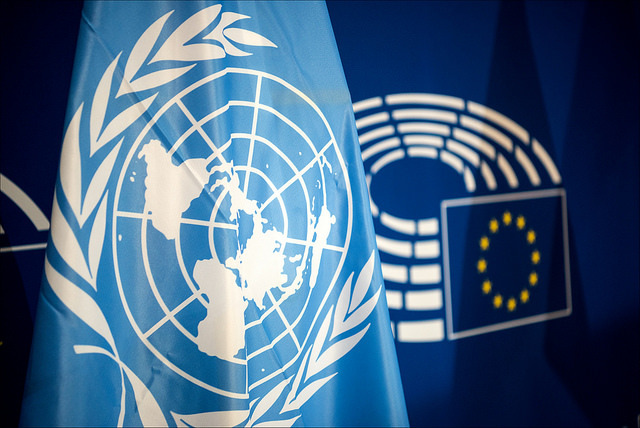 The targets, especially for greenhouse gas emissions, were championed as a clear signal of the EU’s ambition ahead of the December 2015 UN Climate Change Conference in Paris. The conference was an unprecedented success. World governments pledged to cap global warming at no more than two degrees above pre-industrial levels with an aspirational 1.5-degree target. Earlier this month, the Paris Agreement entered into force after it was ratified by the US, China and the EU, the world’s three largest emitters. The COP22 conference in Marrakech was hailed by some as another success, although it risked being overshadowed by the election of Donald Trump, a climate-sceptic, as US President. The UN’s 22nd climate change conference closed on Friday (18 November) with no tangible results. But the decision of the most vulnerable states to convert to 100% renewable energy is a good signal for the future. EURACTIV France reports. 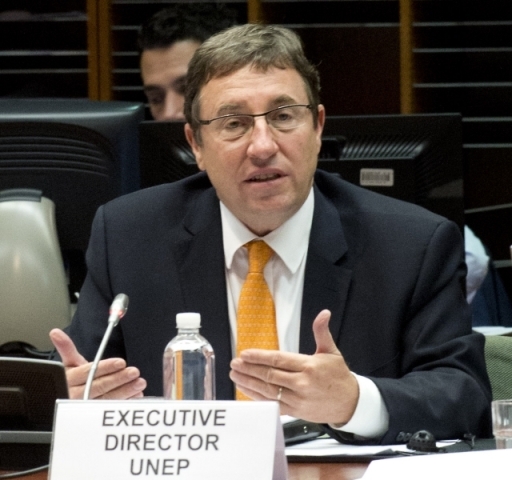 NGOs, such as Climate Action Network Europe, have argued the unprecedented global momentum gives the executive a mandate to put the efficiency target at 40%, and make it binding. The increase is further justified because current climate pledges will not stop warming at two degrees, they said. 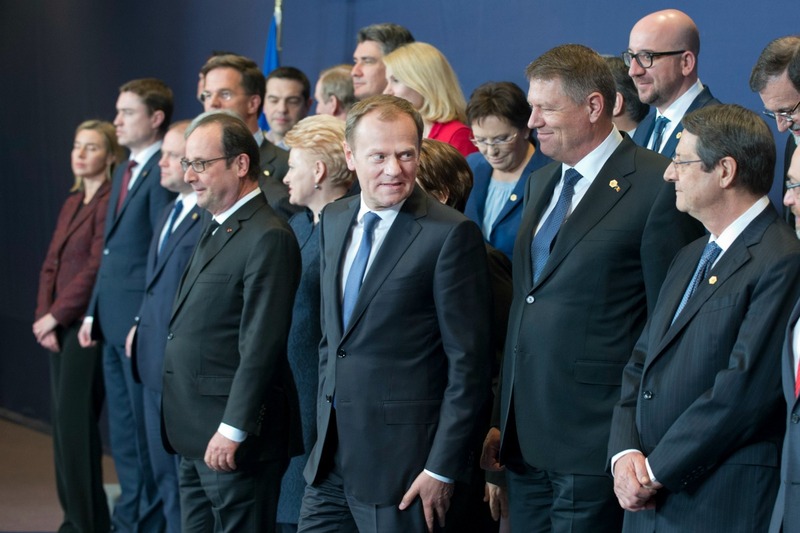 The Energy Union was proposed in February 2015, after the October 2014 summit. It gained political impetus after the Ukraine crisis brutally exposed the bloc’s dependence on Russian gas. 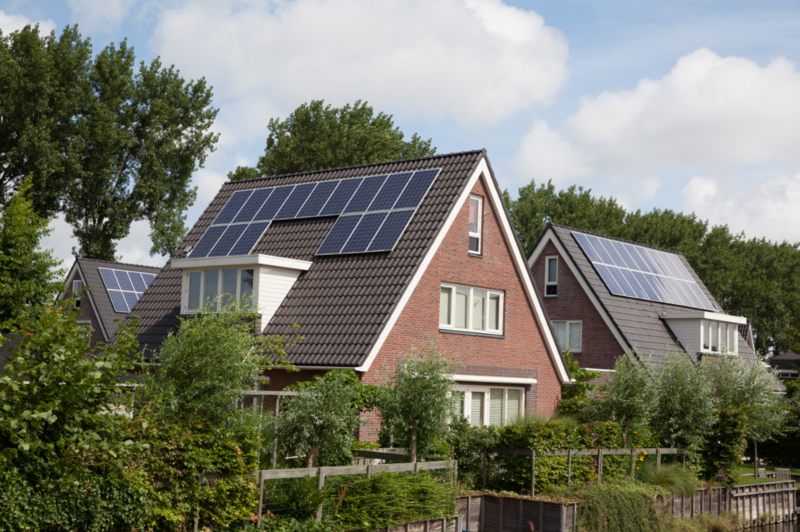 The Commission later said it would put energy efficiency first in the strategy, and identified the EU’s inefficient building stock as a priority. Proposals for the revisions of the Energy Efficiency Directive (EED) and the Energy Performance of Buildings Directive are part of the winter package. Rules in the EED that require energy suppliers and distributors to save 1.5% of energy per year will be continued beyond 2020. Efficiency will be an important part of the EU’s Energy Union plan to strengthen the bloc’s resistance to shortages, but it faces competition from other policy streams for lawmakers’ attention. 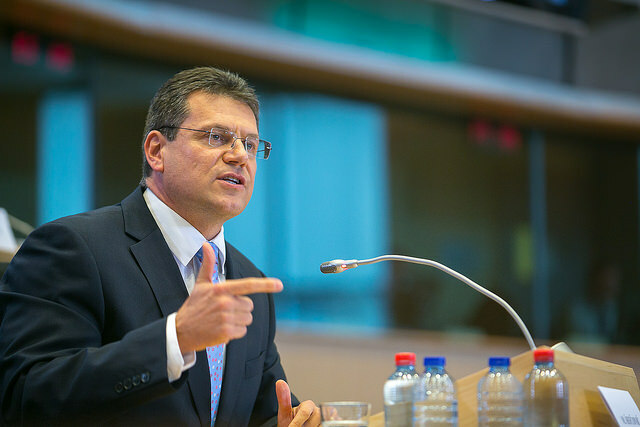 “It is clear that achieving our 2030 targets […] will not be possible if we overlook the enormous potential of buildings in Europe,” the Commission’s Energy Union chief Maroš Šefčovič has said. The Commission has recognised that building renovation also has great potential to create local jobs and give the economy a boost, as well as create better quality living spaces and cut consumers’ bills. 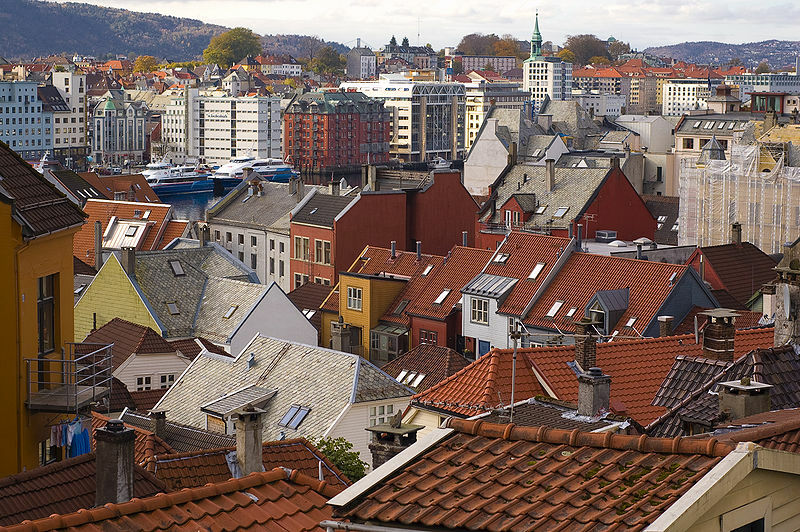 Buildings in the EU typically last from 50 to 100 years and nine out of ten existing buildings will still be standing in 2050, according to the Renovate Europe campaign. Clean energy buildings could also generate renewable power, through for example solar panels, and be linked to digital technologies and even the transport system. Changes to be unveiled this week will force the installation of recharging points for electric cars in public and commercial buildings. Private buildings with more than ten parking places will also be required to install them in new constructions or in case of major renovation. 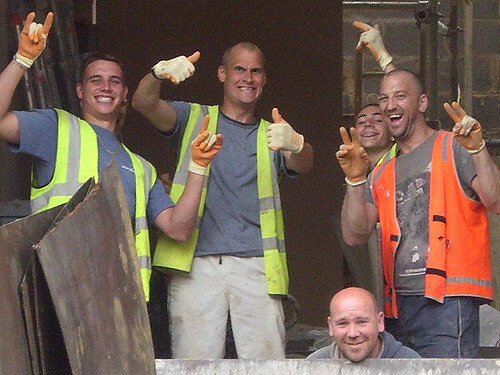 Despite these advantages, the EU’s building renovation rate is just 1%, meaning it would take 100 years to get the building stock to modern, near zero energy levels. 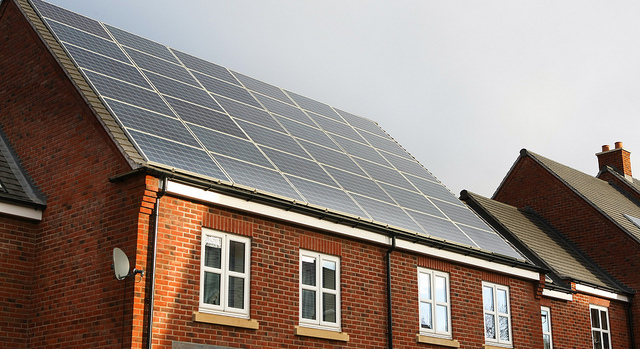 Changes to the Energy Performance of Buildings Directive will strengthen rules on long-term renovation strategies in a bid to decarbonise the stock by 2050. The current rules have largely been ignored by member states. EXCLUSIVE/ The European Commission will likely revamp the reporting of national building renovation rates, bringing it under the future oversight framework of the EU’s flagship Energy Union strategy. Energy performance certificates will be reinforced to improve information for investors and project promoters. The Commission will also launch a European Buildings Initiative, including a ‘smart financing for smart buildings’ plan, which will unlock an additional €10 billion of public and private investment for efficiency and renewables in buildings. 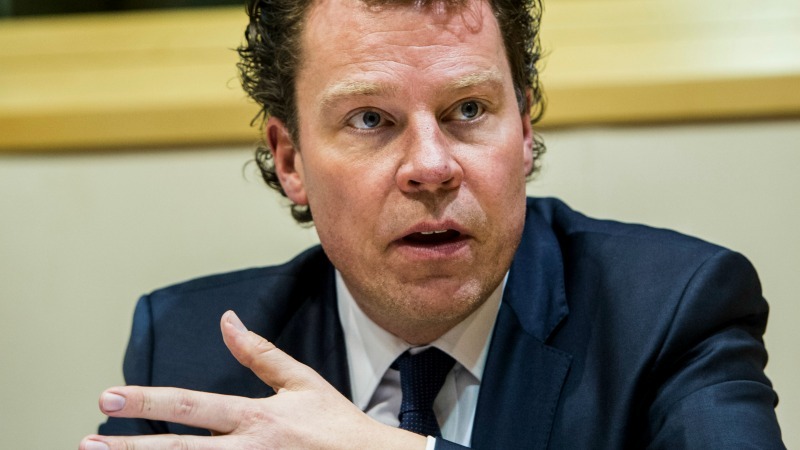 It is thought that the initiative will work in a similar way to the Juncker Investment Plan, which used publicly funded risk guarantees to leverage private backing. Like the Juncker Plan, it will be based on cooperation between the executive, European Investment Bank, and member states. The Commission will issue guidance on better accounting rules for public-private partnerships, which are vital for upscaling investment in public buildings, before late Spring 2017. The executive has already launched a strategy for the heating and cooling of buildings. The European Commission presented the first EU initiative addressing the energy used for heating and cooling in buildings and industry. The final part of the Commission’s efficiency push in the winter package is the adoption of its Ecodesign Working Plan for the next three years. The plan identifies certain products for possible future regulation that could enforce energy efficiency standards in their design. 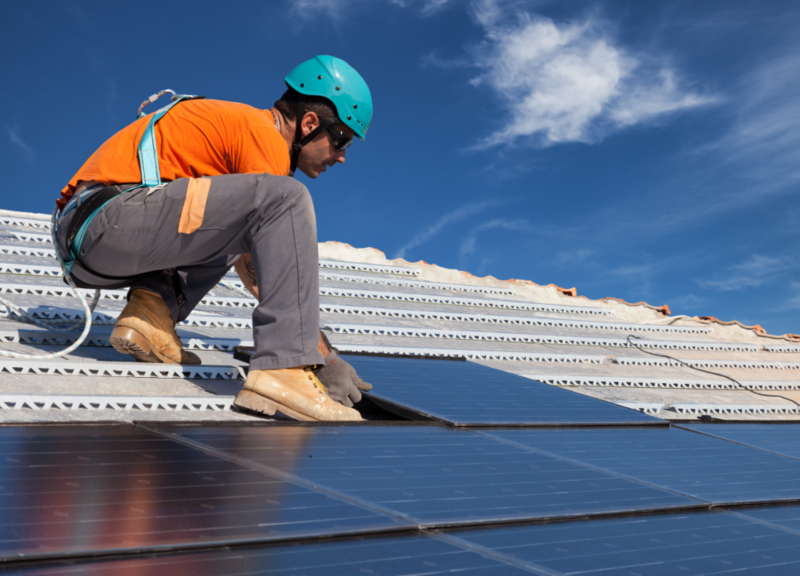 On 30 November, the European Commission will unveil its winter package, a series of legislative proposals aimed at providing “clean energy for all”. The European Commission's winter package is an awkward attempt at blending diverging national energy strategies and satisfy the advocates of coal, nuclear and renewables. EURACTIV France reports. 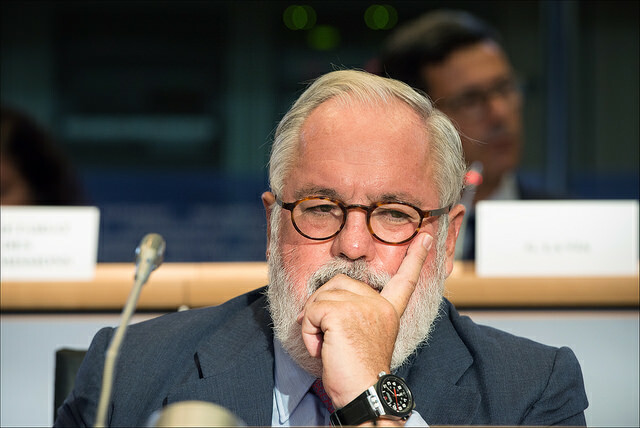 EXCLUSIVE / The age of traditional energy consumers is almost over, Climate Commissioner Miguel Arias Cañete will say today (13 July), before outlining plans for Europeans to take control of consumption and production. 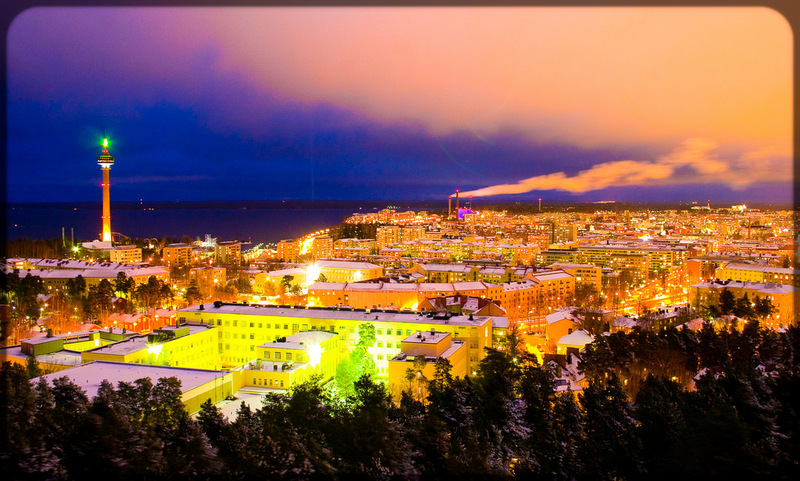 30 November: Commission launches winter package of new energy laws.